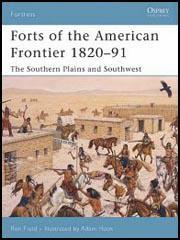 In 1843 James Bridger and Louis Vasquez established Fort Bridger, a trading post on Black's Fork of Green River in Wyoming. He wrote to a supplier: "I have established a small store with a Blacksmith Shop, and a supply of iron in the road of the Emigrants, on Black's Fork, Green River, which promises fairly. They, in coming out, are generally well supplied with money, but by the time they get there, are in want of all kinds of supplies. Horses, Provisions, Smith work etc. brings ready cash from them; and should I receive the goods hereby ordered, will do a considerable business in that way with them!" Edwin Bryant visited the fort in 1846: "Circles of white-tented wagons may now be seen in every direction, and the smoke from campfires is circling upwards, morning, noon and evening. An immense number of oxen and horses are scattered over the entire valley, grazing upon the green grass. Parties of Indians, hunters, and emigrants are galloping to and fro, and the scene is one of almost holiday loveliness. It is difficult to realize that we are in a wilderness, a thousand miles from civilization. I noticed the lupin and a brilliant scarlet flower in bloom." James Reed arrived later that year on his way to California: "I have replenished my stock by purchasing from Messrs. Vasques & Bridger, two very excellent and accommodating gentlemen, who are the proprietors of this trading post. The new road, or Hastings' Cut-off, leaves the Fort Hall road here, and is said to be a saving of 350 or 400 miles in going to California, and a better route. There is, however, or thought to be, one stretch of 40 miles without water; but Hastings and his party, are out ahead examining for water, or for a route to avoid this stretch. I think that they cannot avoid it, for it crosses an arm of the Eutaw Lake, now dry. Mr. Bridger, and other gentlemen here, who have trapped that country, say that the Lake has receded from the tract of country in question. There is plenty of grass which we can cut and put into the waggons, for our cattle while crossing it." 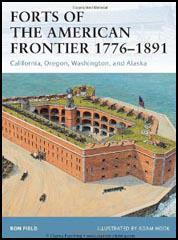 Over the next few years Fort Bridger became established as a resting place and supply station for wagon trains on the Oregon Trail. Bridger also employed his blacksmith's skills in the fort. Later it also became a pony express station. In 1853 Bridger upset local Mormons by selling weapons to Native Americans. An attempt was made to arrest him and Bridger fled to the mountains. I have established a small store with a Blacksmith Shop, and a supply of iron in the road of the Emigrants, on Black's Fork, Green River, which promises fairly. They, in coming out, are generally well supplied with money, but by the time they get there, are in want of all kinds of supplies. Horses, Provisions, Smith work etc. brings ready cash from them; and should I receive the goods hereby ordered, will do a considerable business in that way with them! Circles of white-tented wagons may now be seen in every direction, and the smoke from campfires is circling upwards, morning, noon and evening. An immense number of oxen and horses are scattered over the entire valley, grazing upon the green grass. Parties of Indians, hunters, and emigrants are galloping to and fro, and the scene is one of almost holiday loveliness. It is difficult to realize that we are in a wilderness, a thousand miles from civilization. I noticed the lupin and a brilliant scarlet flower in bloom.